Our range of products include kids playing equipment, kids multi play equipment and multi purpose play equipment. We are one of the prominent manufacturers, suppliers and exporters of Kids Playing Equipment that is famous for its vibrant colors. The offered range is available in multiple dimensional specifications, designs, colors and finishes. Owing to its ease of installation, minimal maintenance requirements and neat finish, the proposed selection is widely applauded among our prestigious customers. 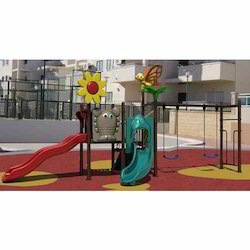 We are one of the celebrated manufacturers, suppliers and wholesalers of Kids Playing Equipment that is provided in various designs and specifications. These easy to install and maintain products are vastly appreciated due to their engaging appearance, longer functional life and cost-effectiveness. 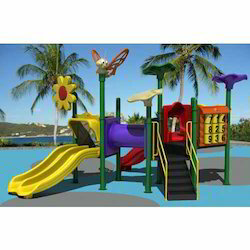 Kids’ multi play equipment is massively popular among our customers for its supreme finish. Excell Fibrotech is considered a trusted name in the market that provides Multi Purpose Play Equipment, which can be obtained in numerous specifications suiting the customers’ demands. The proposed collection is designed by our experienced professionals. This multi-purpose equipment is widely demanded for its minimal maintenance requirements, ease of installation and pleasing appearance. Looking for Kids Playing Equipment ?